Keep it local this holiday season with the gift of Colorado wine. Read on for the Colorado wine holiday pairing and gift giving ideas. 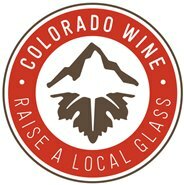 When checking your holiday gift list, why not add a Colorado wine this season, and keep your gift giving local? Colorado’s warm valleys and plateaus, watered by mountain runoff, are home to some of the best vineyards between the West Coast and the Mississippi River. Colorado wines offer hints of the majestic mountains, bright sunshine, and brilliant blue sky that make Colorado such a beautiful state. Giving the gift of Colorado wine is like giving a taste of the Rocky Mountains. It’s time to raise a wine glass to Colorado, reduce holiday stress, and finish your holiday shopping. The Big Game: Cabernet Sauvignon will go great with the rich flavors of Sliders, wings or BBQ. Suggestion: Cabernet Sauvignon at Two Rivers Winery (one of 21 wineries in this most established of Colorado wine country). Colorado Wine B&B gift card: With so many vineyards, Colorado is also home to several B&Bs. Give your special someone a Colorado wine escape. One of my favorite destinations is a Western Colorado escape, Leroux Creek Inn & Vineyards, a secluded B&B surrounded by vineyards, and the valleys and mesas of the Grand Mesa.